Meadowlark Consulting Group specializes in leadership coaching and executive development at the individual, team and organization level. 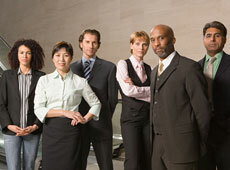 We facilitate, we coach individuals, and we coach leaders how to develop other leaders on their teams. We believe leadership can be tapped at all levels of the organization and companies can ‘give voice to leadership’ by developing leaders who develop leaders. We specialize in accelerating the development of high performance leaders and building the leadership pipeline. Our programs are all designed in collaboration with our clients to produce breakthrough results that are specific and measurable.